Interior designer Vera Villarosa-Orila and architect Allen Oblena made a 22.44sqm studio unit inviting and inspiring for a woman who loves to travel. The duo filled the unit with their own pieces to make it feel familiar and personalized. Comfy and functional pieces, like the sofa bed, make the space attainable and practical. Click here to see more photos and learn more about the space. 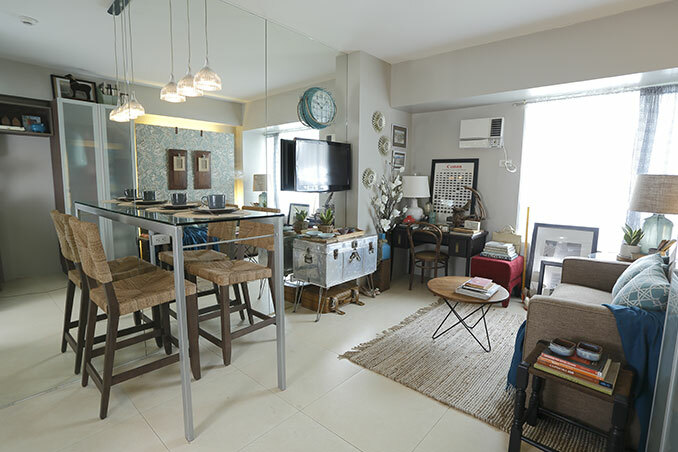 This space was designed as part of this year’s Real Living Space at the Avida Towers Centera showroom in Mandaluyong. To learn more about Real Living’s signature event, visit realliving.com.ph/rlspace.